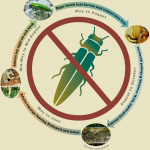 The announcement that the invasive pest Emerald Ash Borer (EAB) is present in NJ will lead to many discussions between professionals and concerned clients on what to do about their ash trees. EAB represents a broad threat – it attacks all true ash (Fraxinus) species. In the U.S., trees die within a few years without treatment. Research out of Ohio by Dan Herms points to the need for long term control efforts – possibly 15 to 20 years. Feasibility of treatment on an individual basis balances the cost of effective treatment vs the cost of removal of trees killed by EAB – which is not small. 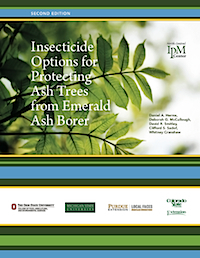 Confusion arises when discussing management of ash tree populations (forest or landscape) at risk due to EAB. Any discussion involving treatment does not apply to whole forests because methods and treatment costs make that impossible. Specific options available to landscaped areas include: elimination, preservation, and conservation. 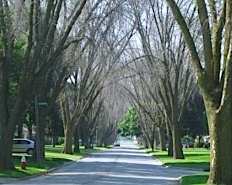 Elimination involves some degree of harvesting of the ash tree population present. Clients could harvest all trees before infestation arrives; however, this option eliminates identification of individual trees that may have resistance, and is often so costly, that there is no money left to replant. Clients might defer expenses by staging the impact of the major outbreak by treating for a period of time, then harvesting. Clients might opt to harvest some trees and replant. This is the best option for a landscape with young ash trees present since it reduces feed source and lowers treatment costs due to the smaller number of trees. A final option in this category would be to budget the harvest cost of the total population and then “watch and wait” to see how the infestation event plays out in NJ. 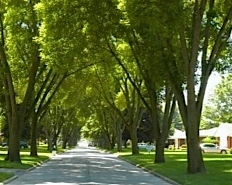 Preservation, with the idea of maintaining all trees of all sizes and ages in their present condition, is extremely costly and doesn’t take into account other issues such as ash yellows, other borers, and natural life span. There needs to be a viable tree at the “end” of treatments. Within that consideration, the emotional attachment to a large tree in the landscape may be the driving force behind a client’s management decision. We are fortunate that we have the careful observations and experiences from the Midwest to inform our next steps as we deal with a pest in a time of limited funding for eradication or control. In addition to the action plans described, we’ll need to develop a state plan for acceptable uses of salvage biomass and inspection to prevent human assisted spread.